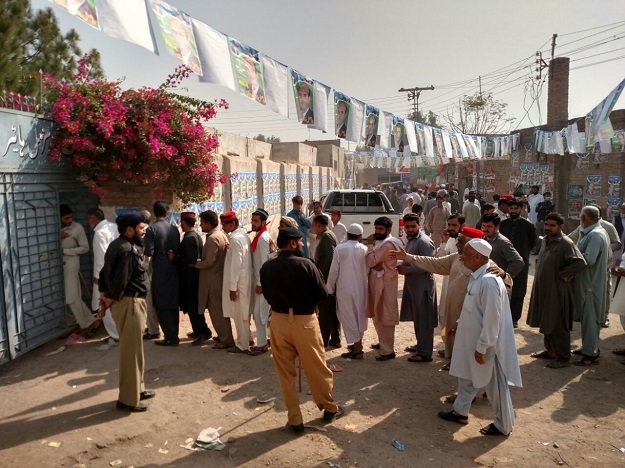 PESHAWAR: Polling started in almost all polling stations in NA-4 constituency, amid high security where by-election is underway. The polling process was scheduled to begin at 8am and voters were seen lining up around 7:30am. Pillion riding and use of mobile phones are banned inside all polling stations. 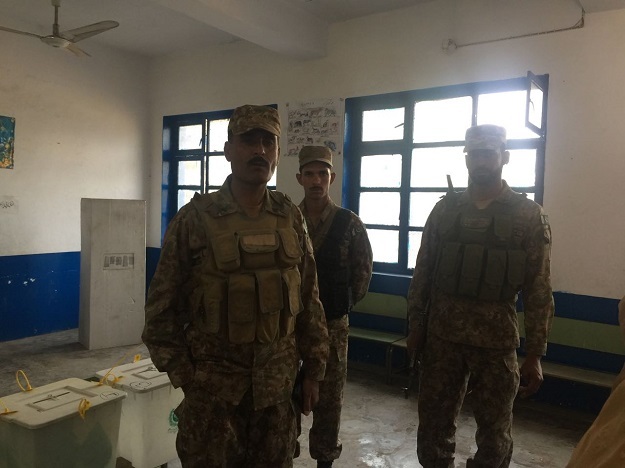 A total of 5,000 police and 1,700 army personnel have been deployed to avoid any untoward incident taking place during the polling. The seat had fallen vacant after the demise of Pakistan Tehreek-e-Insaf’s MNA Gulzar Khan. As many as fourteen candidates are in the run. Six of them are contesting the election from the platform of different political parties and eight as independent candidates. According to Election Commission of Pakistan, more than 0.3million votes are registered in the constituency. The candidates of major political parties have expedited campaign by visiting door-to-door and addressing corner meetings to muster people’s support to clinch this key constituency. 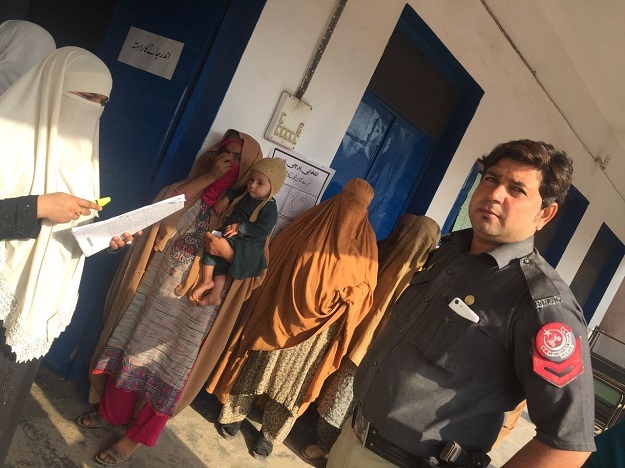 Meanwhile, Senior Superintendent of Police (SSP) Operations Sajjad khan visited the polling stations to check security arrangements. Political observers said NA-4 results would determine popularity graph of the ruling party (PTI) in Peshawar as three parties alliance of PML-N, QWP and JUI-F besides ANP and PPP were posing serious challenge to it, forcing K-P Chief Minister Pervez Khattak for an early inauguration of the long awaited Rapid Bus Transport project starting from Chamkani, the major town of NA-4 Peshawar. According to political observers, NA-4 by-election would prove a litmus test case for PTI that was facing herculean task to save its seat after withdrawal of candidates by JUI-F and QWP in favour of PML-N. Jamaat-e-Islami that was enjoying coalition government with PTI in K-P has again fielded its own candidate in NA-4 and the division of votes between the coalition partners in K-P would certainly benefit the rivals. Apart from political affiliations, elections in Pakistan’s rural areas were decided on the basis of tribal and clan relations. Those having support of strong baradari would also get advantage in NA-4 balloting, the observers added. 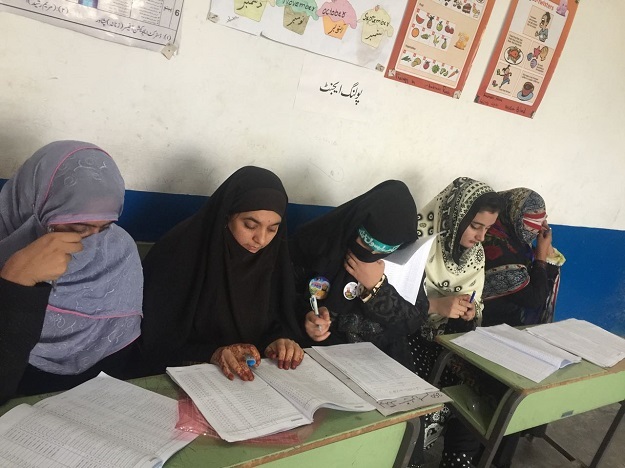 According to an official of ECP, the constituency had total 397,904 registered voters, out of which 235,164 are men while 162,740 are women. He said that total 269 polling stations including 147 for men, 111 women and 11 combined polling station have been set up for by-election. PML-N has fielded its provincial information secretary Nasir Khan Mosazai who stood runner-up in 2013 general elections after securing 20,412 votes against PTI’s Gulazar Khan who comfortably won it with 55,134 votes. ANP has nominated former speaker K-P assembly Khushdil Khan to secure this key seat. ANP’s Arbab Zahir Khan had won this seat for record four times since 1985. JI has fielded Wasil Farooq Khan who was relatively a new comer hoping to win this key seat for the party. PTI has awarded ticket to former nazim of Town-IV Arbab Amir Ayub Khan and late MNA Gulazar’s son Asad Gulzar would try his luck on PPP ticket. NA-4 lies in the south of the provincial capital along Kohat and Bara roads sharing a border with Bara tehsil of Khyber Agency, Frontier Regions of Kohat and Peshawar and this constituency was created following the 2002 delimitation. The post Polling begins in NA-4 appeared first on The Express Tribune. The debate over Larry David's Holocaust joke on SNL: Bad taste, or just bad comedy?